Brand new summer themed harness with a cutesy hand drawn stripes with watercolour flowers speckled across the harness on soft white background splodges. 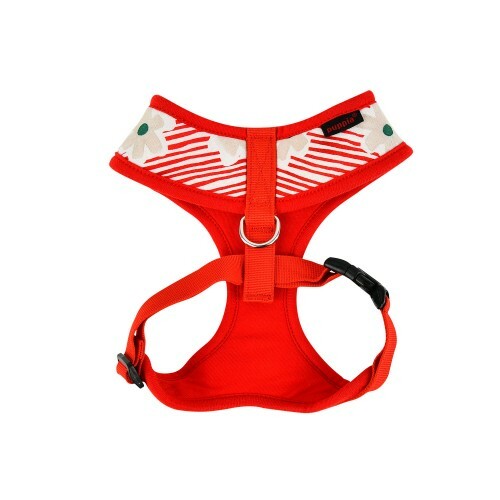 Stylish and elegant harness. Available in two colourways to choose from. Coral pink lining is complimented in an army green and white stripes with pink flowers. The red lining is matched with the red stripes with light grey flowers.